We believe men are the key to the home and every man needs help in growing in their faith. 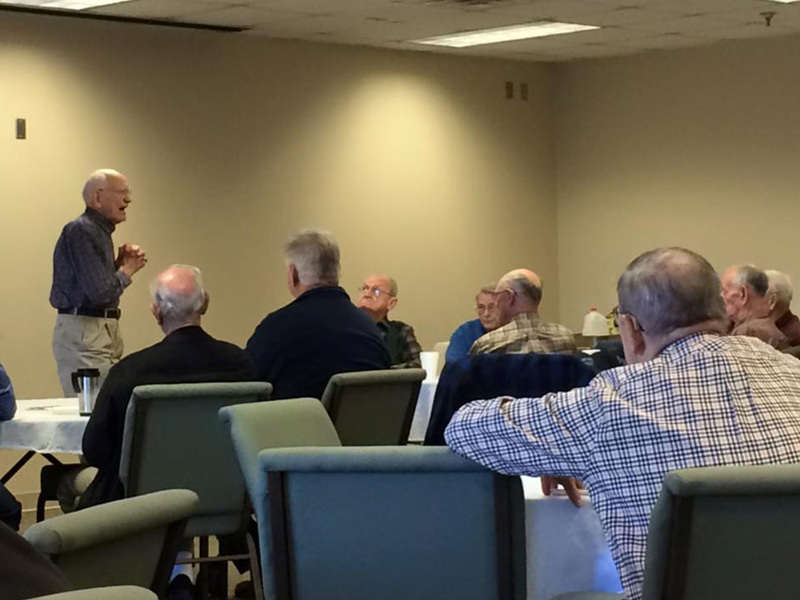 IronMen is our Men’s Ministry at Bartlett Baptist. We offer small groups for accountability, Men’s Growth Groups, men’s fellowship breakfasts, and special events throughout the year. We meet on the first Saturday of every month at 8 AM in the Flex Room for a time of encouragement and equipping. We eat a good meal and hear a good word. We leave with full stomachs and a renewed spirit. We would love for you to join us. Have questions about our men's ministry? The purpose of our women’s ministry is: seeking to provide women of all ages an atmosphere and opportunity to develop a personal relationship with the Lord, their families and with each other…encouraging women to grow in that relationship through prayer, Bible study, fellowship with other believers, and sharing her faith with others as the Lord leads…and to help each woman develop into the person God plans for her to be. Over 8 sessions, Kelly Minter will lead you through the Letter of 2 Corinthians, exploring the anchoring truths of bearing treasures in jars of clay, meeting Christ through a pressing thorn, opening your heart in the midst of hurtful relationships, and what it means to embrace the lost and lonely as ministers of the new covenant. Each of us has a message to proclaim and live by: Because of Jesus the old has gone, the new has come. The book used for this study is All Things New by Kelly Minter. For more information about this Bible Study, email Lindy Skinner. This is a time for all moms, with kids of all ages, to spend time together sharing, encouraging, and caring for each other. Let’s face it, being mom is both the most rewarding and most challenging job a woman will ever have. Spending time with other moms helps provide wisdom, maturity, and a sense of direction toward becoming the mom God intends for you to be. This group is for you if you are 55 + and proud of it! Participation in this fun-loving group offers a balance of good times, rich friendships and spiritual growth so participants can develop their full potential to serve God out of loving hearts. 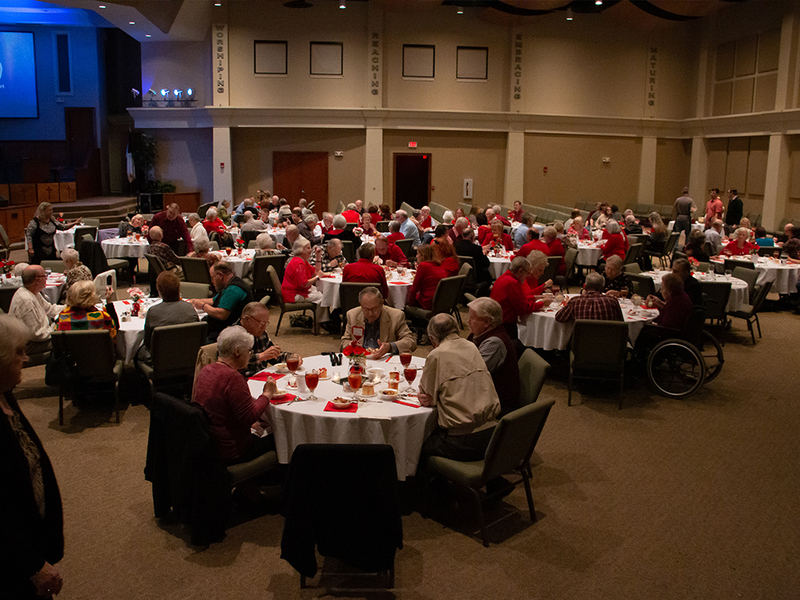 Third Thursday of each month the Senior Adults have a potluck lunch at 11:30 AM. During this time they have a speaker or entertainment. This is a relaxed time to come and fellowship, make new friends or just to visit with others. First Monday of February and December and the first Tuesday of September there is a special dinner to celebrate the special seasons. There is a cost for this which is $10 a person. There is always wonderful food and fun entertainment. Mission opportunities involved is collecting items for Missions such as toiletries and undergarments for Memphis Union Mission. This is just a few of the activities, if you would like to receive emails concerning the Senior Adults activities, please call church office 901-333-3350 and make sure your email is recorded. Now is a great time to join choir! We meet Wednesdays at 6:00 PM for rehearsal in the choir room. Moms of all ages, join us for a time of laughter and encouragement with coffee and dessert in the Bartlett Baptist Church Flex Room at 7:00 PM. Come relax, be refreshed, and enjoy the company of moms like you! Come and join us for a great time of food and fellowship on Thursday, April 18th. We meet in the Flex Room at 11:30 AM. The theme this month will be Easter Celebration and Cameron Ames will be our guest entertainment. Cameron leads the second service praise band and is a very talented young man. This will be an opportunity for everyone to meet and get to know him. Don’t miss it! Men, you don’t want to miss this exciting opportunity to grow closer to one another while gaining a greater understanding of how the Holy Spirit leads us to be more like Jesus. Dr. John Mahony, Professor of Theology at Mid-America Baptist Theological Seminary, will be our featured speaker. Tickets are just $10 and will go on sale Sunday, March 17. The event includes dinner on Friday and breakfast on Saturday. Men of all ages are invited to join us for our monthly fellowship breakfast at 8:00 AM in the Flex Room at Bartlett Baptist Church. Come and be encouraged, meet someone new, and hear a word from our guest speaker.